In this video Daarken shows the Jaja Stylus in action on an iPad using Procreate. He talks about the pros and cons and gives you a little peek at a sketch he did using the Jaja. Note – There are probably many people who are happy with their stylus, so it could be that I received a faulty unit (still no word from tech support). This review was based on the performance of the unit out of the box. Some people also reported hearing sounds and clicks emitting from the stylus since it uses sound to communicate. Review scores from other sources. Jaja Stylus from Daarken on Vimeo. Update – The other day I finally got my new Jaja nibs in the mail. It only took a couple of months, several e-mails, and several forum posts to finally get them. I tested them out and so far they only work part of the time. The other half of the time absolutely no paint comes out at all. It is basically a crapshoot as to whether or not any paint is going to come out when you start painting. Instead of the original plastic nibs, these are metal coated with teflon. If you are going to use them, be extremely careful because they can scratch your screen. I have several scratches on my screen already. Luckily I am using a screen protector, otherwise I would be pissed. Granted it is probably much easier to scratch a screen protector as opposed to the actual screen, but I’m not going to take the chance of scratching the actual screen. I’m not sure why they didn’t fix this problem before their initial release, especially since they had enough money from their Kickstarter. They raised $65k on their Kickstarter while their goal was only $25k. Hmm, for receiving almost 3 times the amount they needed, I would have hoped they would have created a product that worked. This wasn’t just an isolated problem either, it was a widespread issue. Based on my interaction with their techs and the head of Hex3, I am a little disappointed with them. They made it very clear on several occasions (when they actually responded to people) that we should consider ourselves lucky and that we should be “grateful” to them for making these new nibs. Wait, we should be grateful that they are trying to fix a $90 product that didn’t even work in the first place? No I’m sorry, their job is to create a working product. They also mentioned how they are doing us a favor by giving us 2 free nibs. So again, we should be grateful that they didn’t charge us for 2 new nibs when the original product didn’t work properly. I actually just went to go check the thread I was a part of on their forum, but they have deleted their entire forum. All they have now is a blog, which you aren’t allowed to comment on. Sure enough, in the first sentence on their blog they mention again how they gave people 2 new nibs, free of charge. These new nibs were created to only work for roughly 3 months, based on information I was given by an employee on their official forum. Maybe the information I was given is wrong, but I don’t know. I’m sure if you use your stylus a lot, that time will be greatly reduced. I was given 2 new nibs, it costs $20 for 4 more. So they created nibs that don’t really work and you have to continue to pay more money if you want to use your stylus. The Intuos 4 had a problem with nibs wearing down fast, so it isn’t too much of a surprise. Back when I used an Intuos 3, one nib could last years. I know when I worked at BioWare Mythic I only changed my nib maybe 1 time over a 3 year period. In the end, these new nibs don’t work. They only work sometimes, they can scratch your screen protector, and they only last a couple of months before they need replacing. My impression of the Jaja still hasn’t changed from when I first tried it. It is still a $90 product that doesn’t really work. Update 2 - I thought “hey, maybe the battery is dying and that is causing problems.” I changed the battery, and now I have a whole slew of new problems. First, the apps would no longer recognize any pressure sensitivity. I recalibrated the stylus. The pressure sensitivity kind of worked again, but sometimes it wouldn’t go opaque. For example, if you were painting with black it would max out at maybe 30-40%, regardless of how many brushstrokes you put down or how hard you pressed. Other times the whole range of values would work. Then sometimes nothing would come out, like last time. Woo! Update 3 - Hex3 is now working with me to try and fix the issues with my new nibs. Thanks Hex3! Update 4 – Hex3 is sending me a new stylus. Hopefully the third time is a charm. Update 5 – Ok, let me preface this by saying this review covers MY experiences with the product. I am a single person, therefore everything I say must be taken with a grain of salt. Just because my stylus or nibs don’t work, doesn’t mean they won’t work for everyone. Everyone should realize that any review written by a single person does not account for the entirety of the value of a product. You need to read as many reviews as you can and decide for yourself whether or not you want to purchase the product. That being said, look at the reviews from other sites. Most sites give the Jaja anywhere from a 2 to a 3.5 out of 5. 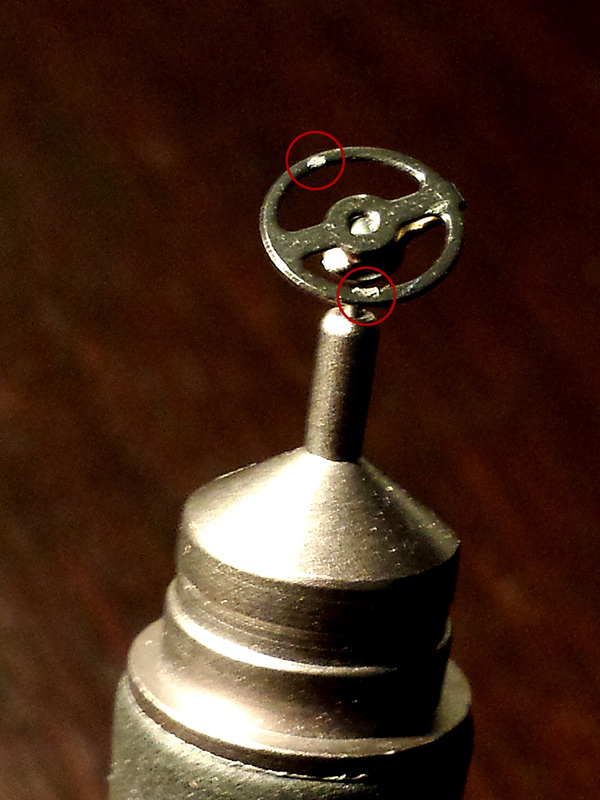 The issue with the original nibs was so pervasive that they had to redesign the entire nib. Obviously my claims were not unfounded and are shared by many. I also want to say that everything I have said in this review is based on actual experiences I have had and from information I was given by employees at Hex3. This is why I take pictures and videos. I do not appreciate the validity of my experiences coming under question or that I am making up information simply to misinform the public due to some nefarious reason. Ok, back to business. It took about 2 weeks for my replacement stylus to come in the mail. I was hoping it would actually work this time, and upon first testing it, it performed as advertised. I was a little dubious though because when I received the previous shipment of replacement teflon nibs, they too worked fine the first day but failed to work after that. I wanted to make sure this stylus continued to perform before making any announcements, and it was a good thing I waited. Day two came around (today) and I noticed that sometimes no pressure sensitivity would be recognized. I quickly took out my phone so I could make a video showing that there wasn’t any pressure sensitivity. At the very beginning of the video no paint comes out, which is exactly what happened with the other replacement teflon nibs. Sorry about the small video, all I had available was my phone because I was sitting in a doctor’s office. 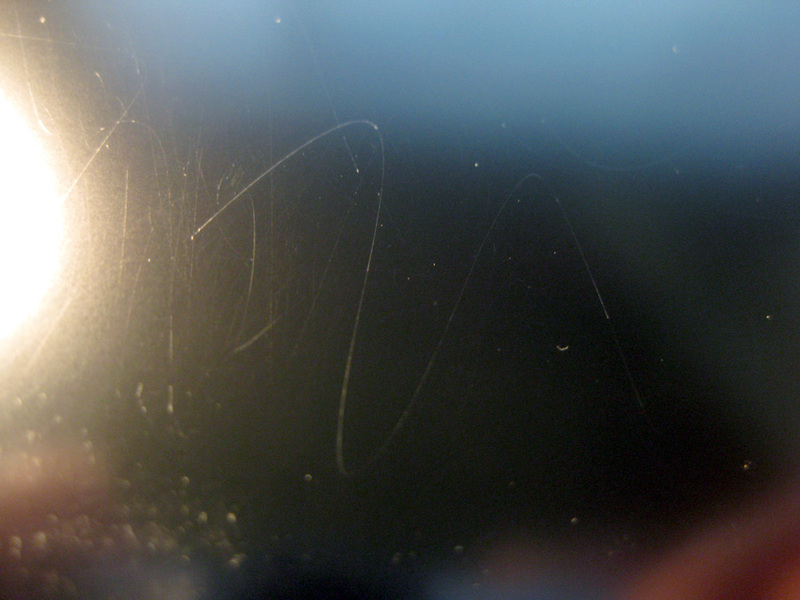 If you have keen eyes you will see in the video that, once again, these teflon nibs scratched my screen protector. You can actually see the scratches appearing as I am painting. Now let me make this clear one more time, I am using a screen protector. Yes it is probably much easier to scratch the screen protector as opposed to the actual screen, but I am not willing to take the risk. After my review of the new teflon nibs, I received an e-mail from none other than Jon Atherton. Well, I believe it was Jon Atherton based on some of the things he said in the e-mail, plus he was the one who responded to me on their support forum, which has now been completely deleted. He also left a comment on this blog post. 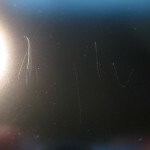 My claim that the previous teflon nibs scratched my screen protector came into question, which was why I took pictures of the scratches in the last update. The fact that these new nibs also scratched my screen made me examine them more carefully. What I found was pretty ridiculous, and somehow humorous at the same time. These tips are not smooth like I was assured. 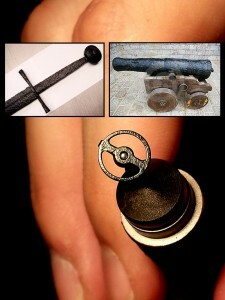 If you run your finger over them, you can actually feel gouges, chips, or burrs. I tried to carefully brush them off to make sure they weren’t just pieces of dirt stuck to the bottom, but they wouldn’t come off. Ok, maybe this new nib is just defective. I tried the second nib, it was even worse. 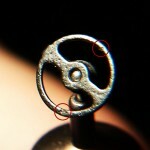 You don’t need a microscope to see the imperfections, these photos were taken with my wife’s phone. In fact, you can see them with your naked eye and feel them with your finger. No these aren’t tricks of the light or weird JPG artifacts, you can actually feel them. 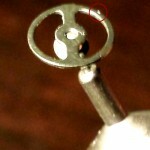 Upon further examination, with the help of a pick glass, I found that they are actually gouges or places where the teflon has chipped off. Some of the nibs actually look like weathered metal from an ancient relic, not an “incredibly smooth” surface like I was lead to believe. I would actually love to see what these look like under a microscope. I also want to point out that I checked both new nibs and both nibs I got in the previous shipment and all of them are like this. 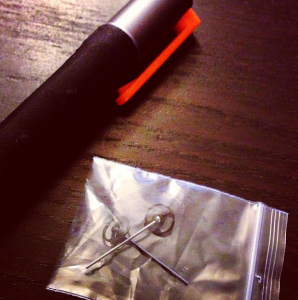 These nibs were like this straight out of the box. None of them were dropped and they were only used a couple of times, some for only a few minutes. 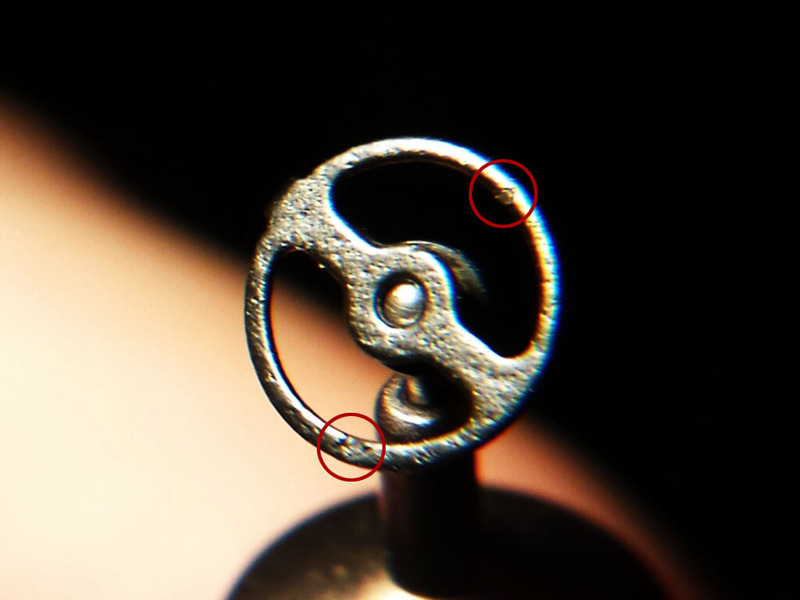 It could be that the nibs aren’t supposed to look like this, but if that is the case, then there is a major quality control issue that needs to be addressed. Just for fun I also took a pic of the old plastic nib, and it too is completely covered in scratches. 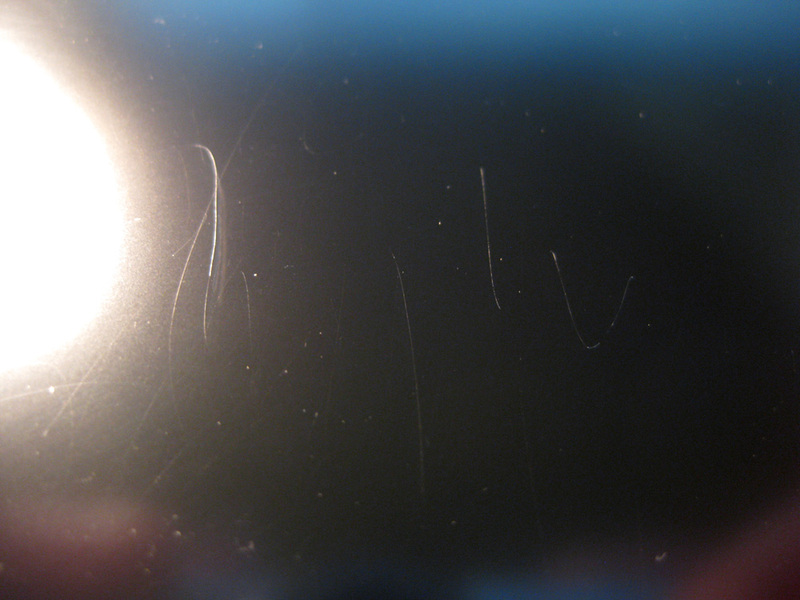 This is why my screen (protector) keeps getting scratched. There is absolutely no way I am going to take the chance of testing these on a screen without a screen protector, would you? Back when they were troubleshooting the replacement teflon nibs on my other stylus, they actually asked me to take my screen protector off and test the stylus on the bare screen. I refused. They then asked me again to test it on a bare screen and added a couple of question marks at the end for good measure. I asked if they would reimburse me for the screen protector, since you can’t take it off and put it back on, and reimburse me for the screen if it became damaged in the test, but they did not reply to my question. I was then asked to test it on a Macbook Pro trackpad to see if my screen protector was causing the issue or if it was the stylus. I tested it on a trackpad and sometimes the cursor would move but sometimes it wouldn’t. It was then determined that the issue was with the stylus itself and not because of my screen protector. I was also told that my issue of no paint coming out of the stylus regardless of pressure was not known to them and that the new nibs fix every known issue. 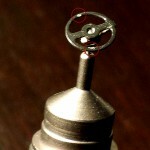 It took me about 3 minutes to find someone else who had the same exact problem I did with the new teflon nibs. In fact, the person posted their problem on the official Jaja Facebook page 10 days prior to my post. Now that all of the bad news is out of the way, here comes the good news. I took a video showing the Jaja actually working. When it actually works, it is a very nice stylus. If they could eliminate the scratching problem and the problem of it not always working, it would be a fantastic product. I really wanted this product to be amazing. I am a professional illustrator and concept artist, why wouldn’t I want a product to succeed that would benefit my profession? Maybe I got another stylus that is defective, I don’t know. Maybe I emit some crazy electrical field that always causes my equipment to fail, I don’t know. Will I continue to use it? Yeah probably, but only sparingly. I don’t want to completely destroy my screen protector. I would like to say thank you to Hex3 for sending me a replacement Jaja. Update 10.16.13 – Well, I tried using the Jaja while I was on the plane and I couldn’t get it to work, at all. It wouldn’t recognize pressure sensitivity and sometimes it just wouldn’t recognize the stylus at all. I tried it after I landed while I was in a quiet room and it worked again. I find it really funny that part of their whole marketing scheme is that you can use this stylus while on a plane because it doesn’t use Bluetooth, yet it doesn’t even work on a plane. Since you can’t even use it on a plane and it doesn’t always work, even in a quiet room, I have to drop the rating again down to a 2 out of 5. 46 Comments on "Jaja Stylus – Testing on the iPad"
I approve of cookie-flavored styli! If I could pump out drawings like that then let my tip lickin career commence :) good review btw . The Jaja or the Galaxy Note? I have only used the Asus EP121 and the Fujitsu ST5112, so I can’t really recommend any others since I haven’t tried them. Pls!!! Record new video how you draw on asus! I’ve actually recorded a few paintings done on the Asus. This painting was done completely on the Asus. Also Will be very interesting see how you draw on samsung note, i hope in future you will find it to test. Now i’m glad I didn’t get the Jaja. Someone should send you the Adonit Jot Touch and let you try it out. Hah yeah, I’m really interested to see if it is any good. I mean i like the idea of using the ipad for sketching on the go and just use dropbox to continue working on the sketches at home on the mac. Nah, that is the only thing I have painted on the iPad. Like I mentioned in the video, it took way too long just to paint that. The other problem is that filming it with my camera takes up a lot of space. Just the video I shot for this tutorial took up 65 gigs, so I would need to do a super fast painting. I could probably also film it at a lower quality to save some space. So yeah, right now it just takes way too long to paint on the iPad for it to be practical for me. Cheers for the stylus review, is great to hear things like this so you don’t go out and waste money. On that note, thanks to the fan who got this for you to test out! Hopefully one day a decent tablet for artists will come around. You going to be doing any more videos in the foreseeable future or are you focusing on work at the moment? I will only be able to produce videos when I have some extra time. I’ve been pretty busy, so I don’t know when I will be able to make another one. Sorry! i’ve tried the pogo stylus on ipad mini and procreate..
(Electronics) My iPad was given to me as a gift. I hadn’t asked for it and I didn’t expect it so when I got it I was more than slglhtiy baffled as to what I would do with it. I’m an artist by trade. I already have a few Wacom tablets. So when it was suggested i give drawing on the iPad a try I scoffed. The iPad doesn’t have sensitivity like the Wacom tablets do, so I couldn’t conceive that it would be good for anything beyond hangman or tic-tac-toe. Of course I was wrong. Crazy wrong. The lack of sensitivity is an issue, but another stylus manufacturer has developed an algorithm that mimics sensitivity hopefully Apple will embrace this tech and implement it later on. In the meantime, i learned to love drawing on my iPad; i loved being able to do quick little doodles and email them off to friends or clients and while it takes some getting used to, you are capable of some remarkable detail. Which is where using a stylus comes in. Since I was initially clueless as to what to do with my iPad it also hadn’t occurred to me to use a stylus for drawing. Here I was honing my finger-painting skills and then I watched as my friend casually whipped out her iPad and Pogo stylus and started doodling away. My jaw nearly dropped; what a revelation! 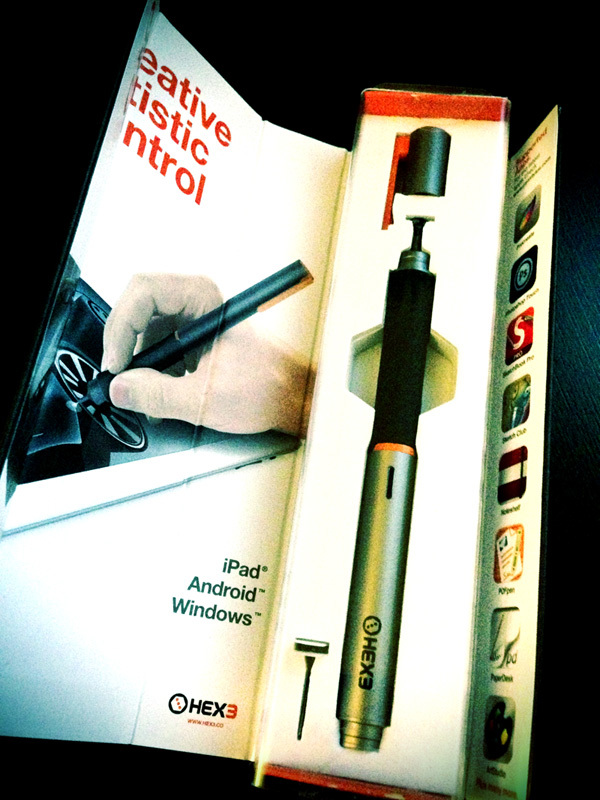 I ordered the exact same stylus she was using, the Pogo Sketch. When it arrived and I started drawing with it I was less than pleased; the tip is sort of this prickled velcro-y like fabric that is stuffed with foam rubber. It’s pliant, and I didn’t feel very in control with it by that I mean I couldn’t be completely precise in where it would make contact with the screen. I felt it was just too mushy. Then I ordered Boxwave’s stylus. This was a vast improvement. The tip feels like a hollow rubber ball. It’s definitely much more precise, and in my opinion superior for drawing. It’s also a quality item, it’s nicely made, the finish is nice, and it has a lanyard attached that plugs into the iPad’s headphone jack. Drawing on iPad is not like drawing on paper. There’s a learning curve to it and different people will use different tools in their own way. 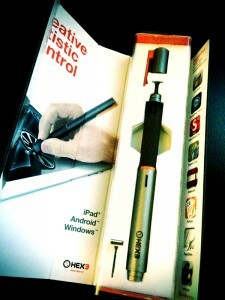 In other words, a perfect stylus probably does not exist yet .but for me this one is pretty close. Thanks for sharing Mike, i never heard of this stylus until now. So now i know haha .However do you know the consistency of which you will be producing content for enliighten.com ? or is it strictly whenever you have time? (obviously scarce amounts).Keep up the great great work dude. Yeah, I will only be producing videos when I have some extra time. Sorry! Oh man, the licking was killing me, haha! Too bad the stylus is terrible. Seems like there’s still a ways to go for tablets. I’ll stick with my Fujitsu for now. Oh yeah, I definitely wouldn’t recommend replacing a tablet pc with a full Windows OS and Photoshop for something like an iPad. That is if we are strictly talking about using the device for painting. I really wonder when Wacom is gonna put out their own tablet pc…it will happen one day I swear! Yeah, that would be so cool. I’m using the Galaxy Note 10.1 for drawing which has a Wacom digitizer. It works fine and the pressure sensitivity and levels are decent, but tablet-wise it could do with a higher res screen so we can zoom out and make use of bigger canvases. It’s a joy when on the go though. 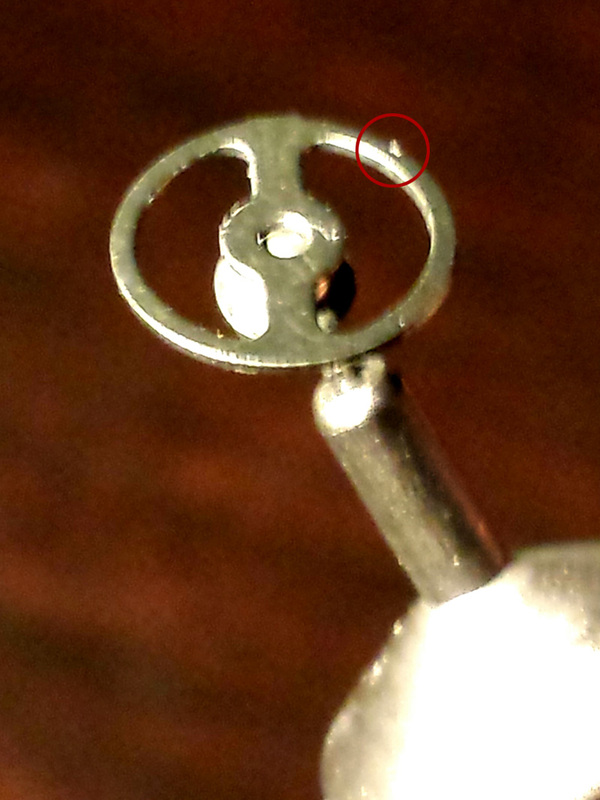 PC magazine recomends the Samsung 10.2.
hey daarken i fixed the nib without licking the tip lol. hwat you need to do is separate the joint from the disk and but a little electrical greece inside then snap it back in and it works perfectly… so you wont be able to use it until you do that…i had the same problem but this fixed it. http://blog.hex3.co/?p=53 This is from Federico who currently serves as Marvel Studios head storyboard artist and Animatics Supervisor. http://blog.hex3.co/?p=88 This one is from Rob Travers, who was the artistic directo at Corel. So with the Teflon tips, and a correctly functioning stylus you should see some pretty good results – if you don’t: get in touch with me, and we will fix it! I’d like to clarify some of your observations above. 1. 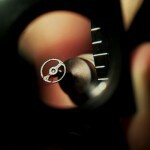 What you see in the images above is roughness in the Teflon coating. The Teflon provides the sliding surface. We used Teflon to improve the feel and sound on bare glass. 2. The Teflon coating is not going to damage the ‘Gorilla Glass’ found in iPads, it may well be harder than some of the stickier plastic films. It will not scratch glass. 3. The underlying metal part in the tip is the part that is highly polished in the same way that they polish some jewellery. 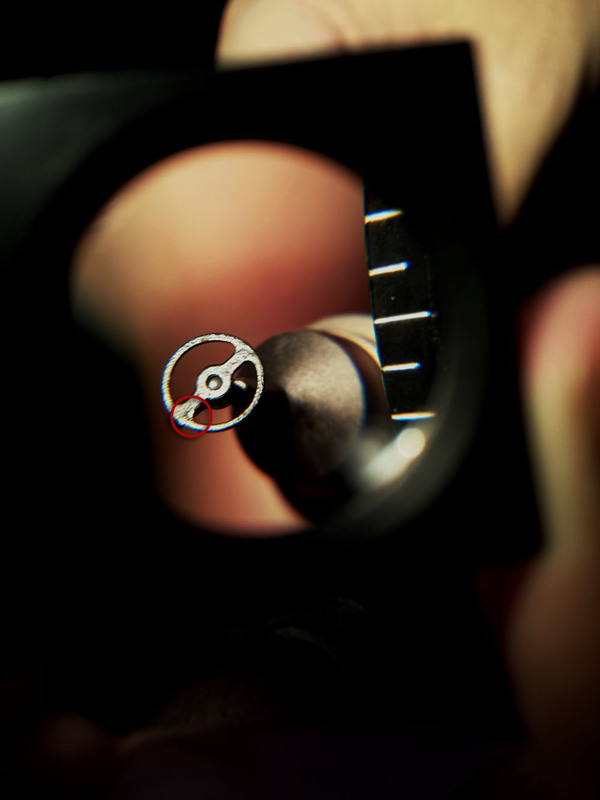 This is to ensure there are no burrs or sharp edges that could be created in our manufacturing process. Teflon is then applied after the polishing. Thanks for your review, we’re always working on improvements – we think we have developed something pretty great in the last year, and we are continuing to innovate! I really wonder why Wacom is not creating this kind of pen o.O I mean they have experience in it, thats for sure. I have just received mine I am furious that a company can make and sell such a defective item and to make matters worse they made this ridiculous stylus with the hard earned money customers donated. Please do not buy this useless stylus, I have contacted their customer service only to be asked a mountainous amount of ridiculous questions which are common sense. The tip scratches you screen and 90% of the time it does not even pick the stylus up let alone the pressure sensitivity. I watched a YouTube video that compared the Jot Touch, Hex3 Jaja, Pogo Connect and it looked like the hex3 jaja was the best by far, what a pile of lies. To make matters worse the same company that made this unusable stylus are asked again for donations for another stylus, what a laugh. PLEASE DO NOT BUY THIS IT DOES NOT WORK. Hey Leeanna, I have a quick question. You mentioned that the stylus scratched your screen. 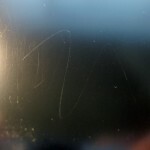 I’m curious, are you using a screen protector or did the stylus actually scratch the unprotected screen? The reason I ask is because Hex3 kept telling me that there is no way the stylus can scratch the screen and they actually wanted me to take my screen protector off and test it against the unprotected screen. You are lucky you got a replacement stylus, I got mine about a year ago and I got this same problems. I post my situation in their forums and never receive my replacement nibs… so my stylus is in a dark room and I loose $90… After they delete the forum I sent 2 emails to them and I never got a reply, for my nibs. I give 0.5 out of 5 to this product because It just kinda work the first 2 days and then… nothing, it is a really bad product and I say it like this because of the bad support, I can’t believe they keep promoting more products without fixing their main kickstarter product. Thanks daarken to write this blog, I’m not alone. By the way, I got a lot of scratches in my Ipad retina display (that I purchase exactly the same time I got my stylus, I was so happy and then… yea… this…) and I did not had a screen protector, so I damage my device because of the JaJa Stylus. Wow, now I’m really glad I didn’t take my screen protector off and test it like they asked me to. Yeah their whole company is a complete joke and they make products that don’t work…yet they still receive hundreds of thousands of dollars from Kickstarter to fund several different projects. I also love how Jon Atherton, the CEO of Hex3, replied to this same post saying “it will not scratch glass” yet I’ve already heard from two different people saying their screen was scratched by the Jaja. Hey Daarken, just curious if you have tried out the Adonit Jot Touch at all, thinking of picking one up but looking around for some hands on reviews first. Thanks! While the product might work okay please beware of customer service! I was ready to buy the JAJA since I have an Ipad 2, but after reading all the bad reviews (including a lady smashing the pen with a hammer out of frustration) I have decided not to purchase it. Obviously too many issues and a questionable customer service from HEX3. Too bad… but thank you for helping me not to waste $90.